UK Confucius Institute Director Huajing Maske describes the UK Faculty China Short-Term Teaching Program as "groundbreaking" for several reasons. First of all, the numbers are groundbreaking. 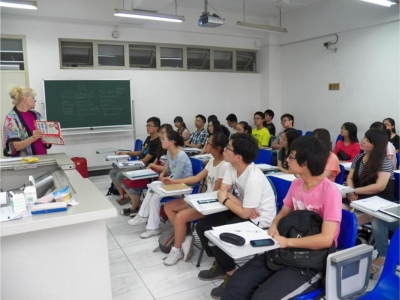 The program, which provides teaching stints by embedding American professors in the departments of partner universities in China, involved faculty members from several non-China institutions. In the program's inaugural year, UK's 29 faculty at Shanghai University represented nearly half of the overall faculty cohort. "It was quite impressive to see how strong the UK numbers were among the faculty participating in the short-term teaching program," Maske said. "UK was by far the largest group represented, which speaks to the university's commitment to cultivating collaboration with our Chinese partner institutions." Secondly, the experience represented new ground for the majority of UK participants: this trip to China was the first for more than two-thirds of the UK cohort. Most importantly to Maske, however, the UK Faculty China Short-Term Teaching Program is groundbreaking in the multi-faceted benefits it provides to UK faculty and, by extension, students. "For faculty, traveling to China and experiencing teaching in another culture will help them better understand the Chinese students, and thus will help them better meet the needs of a growing number of students on UK campus," Maske said. "In addition, UK faculty have opportunities to meet with other Chinese faculty to discuss potential collaborative research." The program also benefits colleges, as many faculty participating in the program last summer visited other Chinese universities. In many cases colleges have already cultivated collaborative relationships with Chinese institutions, and the program provides an opportunity to further develop these partnerships. "For colleges with 2+2 programs with Chinese universities, this can be an excellent opportunity for the faculty to interview the students, and even conduct some preliminary course work there to prepare the in-coming Chinese students," Maske said. Ernest Yanarella, chair of the Department of Political Science, as a part of the program taught a course at Shanghai University titled, "Bridging Modernity, Globalization, and Sustainable Development in China and the West." "I must say that teaching in China to young Chinese college students was one of the most meaningful educational experiences I have had as a scholar and university professor," Yanarella said. "The course sought to develop a conversation with 30 English-speaking Chinese first and second-year students at Shanghai University about their future — and ours. It proved to be a splendid opportunity for an American scholar and teacher to engage in a real dialogue with future leaders of the Republic of China." As the conduit to UK’s China initiatives, the UK Confucius Institute works to establish college-wide and campus-wide collaborations with Chinese universities. 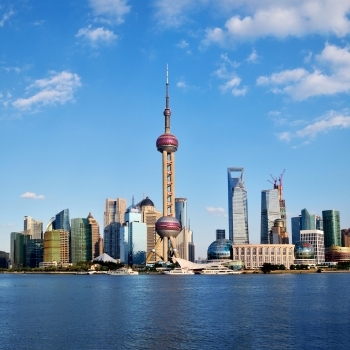 Utilizing the advantages of connections and networks in China, Maske and her team identify strategic partners in China, creating and expanding opportunities for faculty to collaborate with Chinese institutions. "All of our efforts are aimed at helping with UK’s students’ success, which, from our perspective, means enriching UK students’ international experiences and global awareness," Maske said. The UK Confucius Institute plans to continue this program for next year and the years beyond. Click here for information about the program, including the application process and information from previous participating faculty. The Arts & Sciences faculty that participated this year were Rita Basuray, Frieda Holland Gilbert, Philip Harling, Julia Johnson, Katherine Rogers-Carpenter, Ernest Yanarella, Mark Gebert, Pearl James, Kristen Mark, and Janet Stamatel.